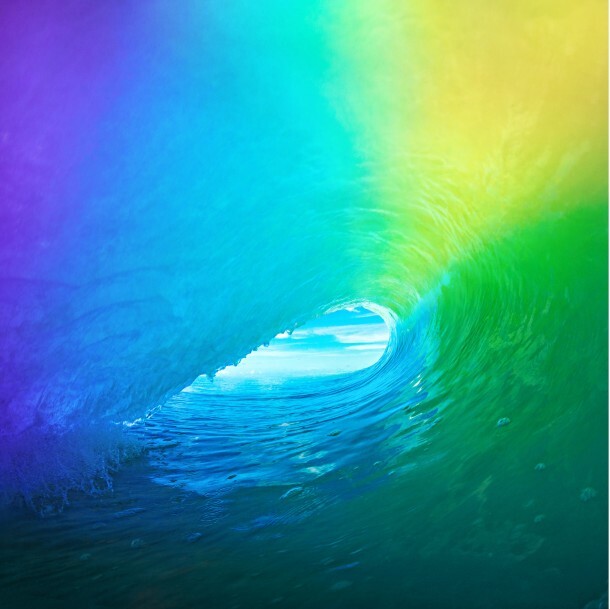 Apple has a knack for picking beautiful wallpaper to accompany software releases, and iOS 9 is no exception with it’s wonderfully colorful wave image adorning the iPhone and iPad background. Rather than run the first beta version or wait until the fall public release, you can get the full resolution wallpaper right now. The resolution is high enough that it looks great on just about any device you wish to use it with. For those interested in some details about the picture, the gorgeous wave wallpaper appears to have been shot by professional photographer Chris Burkard using a SONY NEX-7 camera somewhere in the caribbean, the image was slightly modified by Apple, but the the original, titled “Rainbow Barrel”, can be found on the photographers website here, if you click the little (i) button on his site you’ll be able to view the EXIF data about the picture for those who are interested in the technical camera details. The edits that Apple made are fairly minor, removing what looks like someones head from the edge of the wave, straightening the horizon a bit, and perhaps adjusting color saturation just a tad. 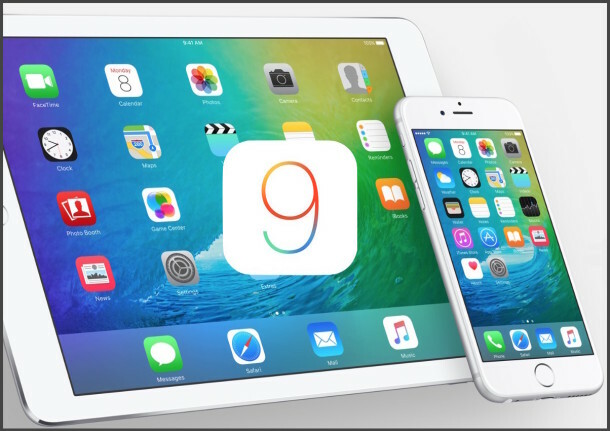 Regardless, the original image and the version Apple is using for iOS 9 is absolutely beautiful, enjoy! You can also get the OS X El Capitan default wallpaper here if you want a bit of mountainous variety. Just my opinion, but this isn’t a gorgeous image. It’s a doctored image that any beginner can do in Photoshop. Agreed. Looks like a little kid had his first experience with the blend tool. I can’t find the original. It must have been taken down. Do you have a copy of it?